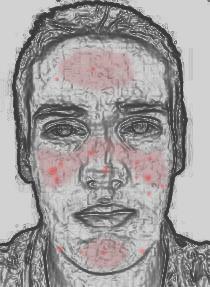 Rosacea (pronounced “roh-ZAY-sha”) is a chronic condition characterized by facial erythema (redness). Pimples are sometimes included as part of the definition. Unless it affects the eyes, it is typically a harmless cosmetic condition. It primarily affects Caucasians of mainly northwestern European descent but can also affect people of other ethnicities. Rosacea affects both sexes, but is almost three times more common in women. It has a peak age of onset between 30 and 60. Rosacea typically begins as redness on the central face across the cheeks, nose, or forehead, but can also less commonly affect the neck, chest, ears, and scalp. In some cases, additional symptoms such as semi-permanent redness, telangiectasia (lesion formed by dilation of superficial blood vessels on the face), red domed papules (small bumps) and pustules, red gritty eyes, burning and stinging sensations, and in some advanced cases, a red lobulated nose (rhinophyma) may develop. There are usually specific triggers that cause a rosacea flare-up, and these can vary from person to person. Some of the more common triggers are: sun exposure, emotional stress, hot weather, wind, heavy exercise, alcohol consumption, hot baths, cold weather, spicy foods, humidity, indoor heat, and certain skin-care products. I wanted an essential oil high in geraniol as research has shown geraniol to be anti-inflammatory (Maruyama et al, 2008; Ji et al, 2002; Marcuzzi et al, 2008; Momin et al, 2003), antibacterial (Duarte et al, 2007; Inouye et al, 2001; Kim et al, 1995; Lorenzi et al, 2009), anti-fungal (Dalleau et al, 2008; Maruyama et al, 2008; Zore et al, 2010), and cooling (Behrendt et al, 2004; Mahieu et al, 2006). Palmarosa typically has a high geraniol content, and the GC/MS report for the batch I used indicated it contained 75% geraniol (see Table 1). Palmarosa has calming properties which I felt would help her relax since her rosacea was exacerbated by stress. Is generally considered to be a very safe, non-irritating essential oil. My client enjoys floral aromas. The client’s condition improved as a result of using this product. She contacted me the following day and was very excited to tell me she noticed less redness. After one week I checked in with her and I could see less redness in her cheeks. After two weeks she felt confident that the facial moisturizer was helping. 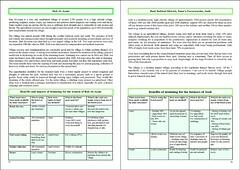 More information on Liz’s case study can be found is Volume 1 Issue 1 (Summer 2012) of the International Journal of Professional Holistic Aromatherapy. If you would like your case studies considered for inclusion in the International Journal of Professional Holistic Aromatherapy, comment with a brief synopsis and I’ll respond to you via private message / email.Upcoming topics include: Viral issues; mucous; asthma; sinusitis; Eucalyptus family; frankincense; saro; 1,8 cineole; Yuzu; limonene; gastrointestinal issues; limonene as a chemopreventative agent; Dementia/Melissa; and more immediately–eugenol-rich oils in palliative care. The IJPHA is officially launched June 1, 2012! With a collection of peer-reviewed articles contributed by Cindy Black, Andrea Butje, Lora Cantele, Suzanne Catty, Gergely Hollodi, Liz Fulcher, Geoff Lyth and Jade Shutes the IJPHA was officially launched. 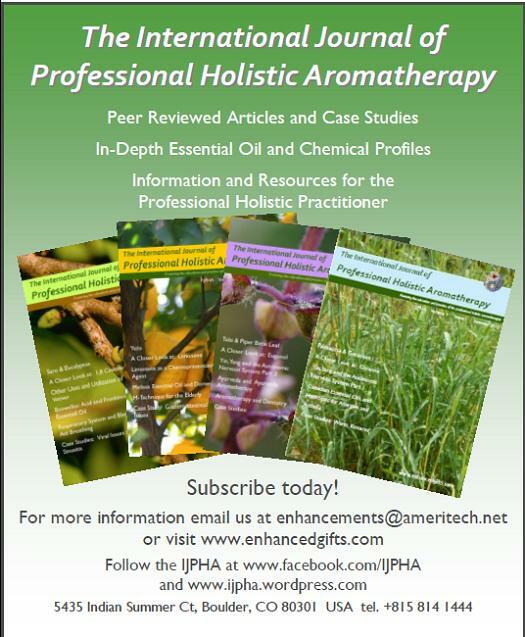 Featured articles include a focus on geraniol-rich essential oils, including palmarosa and geranium; Allergies and Asthma; Yin, Yang, and the Autonomic Nervous System, Case Studies on the effectiveness of essential oils on rosacea and warts, and how to write an effective case study. Practitioners share their favorite recipes, provide tips, and a book reviews. Subscriptions $75 US / $105 International Published quarterly in print!